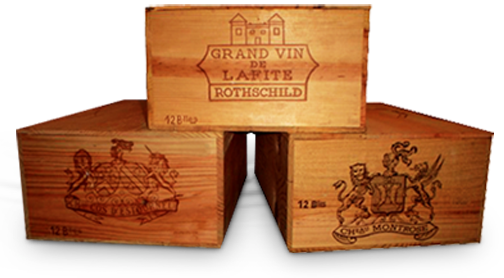 THE HISTORY: International Wine Storage offers you a safe, convenient, reasonably priced wine storage alternative. International Wine storage offers you the solution to your wine storage needs. THE FACILITY: A secure vault was created expressly for wine. The cellar temperature is maintained at approximately 57 degrees F° and 64% humidity. A gas-powered generator ensures these conditions even during power failure. Special shelving was installed to subdivide the vault into many separate spaces. Each shelf can support 1,000 pounds and holds exactly 18 standard wooden Burgundy cases. Customers can rent as little as a 1⁄2 shelf. THE SERVICE: Given the importance of security, no one is permitted to enter the wine vault unaccompanied, and 24-hour advance reservations are required. Properly packed wine is brought to our facility by the merchant, the customer or a third party mover. Our employees count, label and shelve your boxes. When customers wish to retrieve a case or cases, they simply call 24 hours in advance. The specified case(s) numbers and shelf numbers will be required, and we will be ready when the customer arrives. For your convenience, we are open seven days a week. Please remember, to better serve you, the wine business must be scheduled the day before you come in!!! THE MISSION: Our goal at International Wine Storage is to offer the best wine storage facility at a reasonable price. In the past we have found our service to be of great benefit to both the sophisticated wine collector and the knowledgeable wine merchant. For further information, please contact the General Manager Ramon Jibaja at 305-856-1208 or email to Ramonjibaja@yahoo.com. THE COST: As you can see, our prices are very reasonable for the services that we provide. * A shelf will hold between 6-20 cases, depending on the kind, size and packing of the cases. * Same Day Service is an appointment under 24 hours of advance notification. This includes showing up without an appointment.